Safety Management System (SMS) is becoming a standard throughout the aviation industry worldwide. It is recognized by the Joint Planning and Development Office (JPDO), International Civil Aviation Organization (ICAO), and civil aviation authorities (CAA) and product/service providers as the next step in the evolution of safety in aviation. SMS is also becoming a standard for the management of safety beyond aviation. Similar management systems are used in the management of other critical areas such as quality, occupational safety and health, security, environment, etc. Safety Management Systems (SMSs) for product/service providers (certificate holders) and regulators will integrate modern safety risk management and safety assurance concepts into repeatable, proactive systems. SMSs emphasize safety management as a fundamental business process to be considered in the same manner as other aspects of business management. At Inflight our #1 priority is safety. Safety culture is highly important to our organization and we want you to be aware of it the day you enter our facility. We want everyone to be able to safely enjoy all of the benefits that flying brings. We encourage every single person involved with our organization to self-report any potential unsafe actions that might have happened while flying with us. We want to know this information so we can analyze the events that took place and make continual improvements to make our organization even safer than it is. When you self-report you are helping yourself, general aviation as a whole, and Inflight. The information that you report is strictly confidential and will not be shared with a 3rd party (unless you are blatantly breaking state or federal laws). We will analyze the data and possibly follow up with you for more questions so we can HELP you become a better pilot. FREE ground and flight training to anyone who self reports their possible unsafe action. 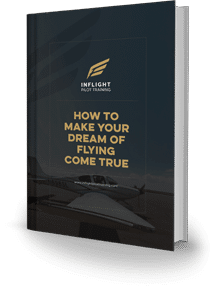 We will work with YOU to help you become a better pilot free of charge. There is nothing to be ashamed of, we are all humans and make mistakes. We genuinely would like to know so we can improve and you can improve. There will be ZERO punitive actions to the pilot who self reports. We cannot guarantee the same for those who don’t report and we find out about it later. 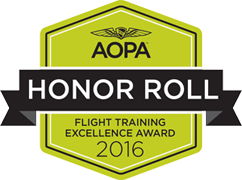 If you report you will be added to a drawing for a $250 Sporty’s Pilot Shop Gift Certificate (Winners will be chosen quarterly). For those who participate in our SMS program you will have extremely good odds of winning. These are just examples. There are numerous things you can report. Use this form to self-report potentially unsafe actions.